I absolutely love the way this makes my hair feel! 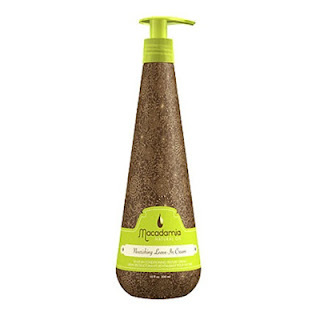 I recommend only using this shampoo once, maybe twice a week. I noticed if I use it more than that, my hair doesn't have much body because of all the moisture being put back into my hair. If you are interested in this product, go here to check out the discounted price on Flat Iron Experts website. They offer many different sizes: 60mL for $4.99, 296mL for $17.99 and 1L for $43.99. 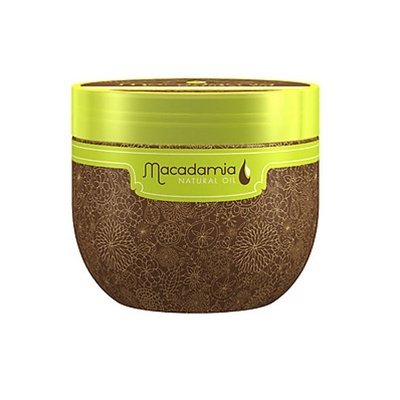 Macadamia Natural Oil Nourishing Leave-In Cream is a leave-in conditioning texture cream infused nourishing oils to tame unruly locks while adding silky softness, shine and UV protection. After I get out of the shower, I come through my hair and put a small amount of this throughout my hair. I love the way it feels in my hair. It doesn't weigh it down at all and it leaves your feeling silky smooth with less frizz. If you are interested in this product, go here to check out the discounted price on Flat Iron Experts website. They offer two different sizes: 60mL for $5.99 and 296mL for $25.99. I know I have already reviewed this product before, but I was still super excited to get another container of it because I was almost out! I can't even begin to express how much I love this product! 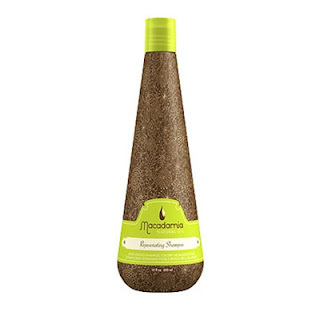 I use it once a week and I feel like it has really helped my hair out a lot. I used to have VERY dry hair with broken ends. After using this product, I have noticed that most of my split ends have been mended and my hair is so moisturized. If you are interested in this product, go here to check out the discounted price on Flat Iron Experts website. They offer many different sizes: 30mL for $4.99, 251mL for $28.99 and 500mL for $45.99. Let me just say that all of these products smell ABSOLUTELY amazing!! Yes, they are a little pricey but if you are looking to really mend your hair and nourish it, I definitely recommend these products! If you don't know if you would like the products, get the small sample sizes to try out before you invest in the larger sizes. Flat Iron Experts is a great website to find great products for amazing discounts. Click here to check out their website!